Here’s one that’s been kicking around in some form or another for some time, but never complete, or never at tremendously great quality. You may be familiar with this band via the Crispy Nuggets VA compilations, one which featured a loose track from this LP and another the b-side off the band’s debut 7”. I’ve been playing this LP out a lot lately at the Wierd party, so for those who have been asking about this one, here it is! 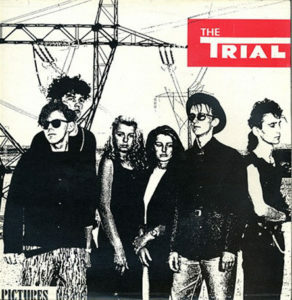 Released in 1991, here we have the debut LP from The Trial, a six piece (!) Czechoslovakian synth band. Fans of the heavy synthpop sound of the late 80s (Depeche Mode, Camouflage, Xymox’s “Obsession”) should find lots and lots to love on this LP. A few of the songs haven’t aged so well, but the majority of this LP (especially side B) is phenomenal and I can’t stop listening to it. Don’t take my word for it though, see for yourself! 11. What Do You Say? If you’d like to read more about the band, click HERE for a page run by a devoted fan. Unfortunately, the main history of the band has yet to be translated to English, but still plenty of info to be had. 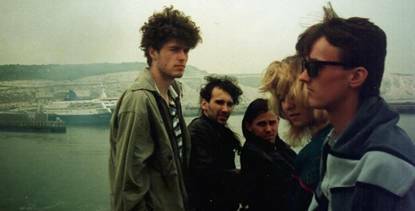 Be sure to click here to check a few video clips of the band, all three which hail from the band’s pre-LP era. Lots of photos here! This entry was posted on July 7, 2011 at 4:54 pm and is filed under 1980s, 1990s, 1991, Czechoslovakia, new wave, synth, synthpop, the trial . You can follow any responses to this entry through the RSS 2.0 feed You can leave a response, or trackback from your own site. Excelent!I am from Czech republic and i dont know this band.Thanks for free download.